These eight regions have great trail running all year round. Gone are the old days of trail running where we took a real off season, much like we did in track and cross country. Sure, we still laced up our shoes and trained when winter weather battered, but we broke from racing itself. These days, it can be 24, 7, 365, all the time. 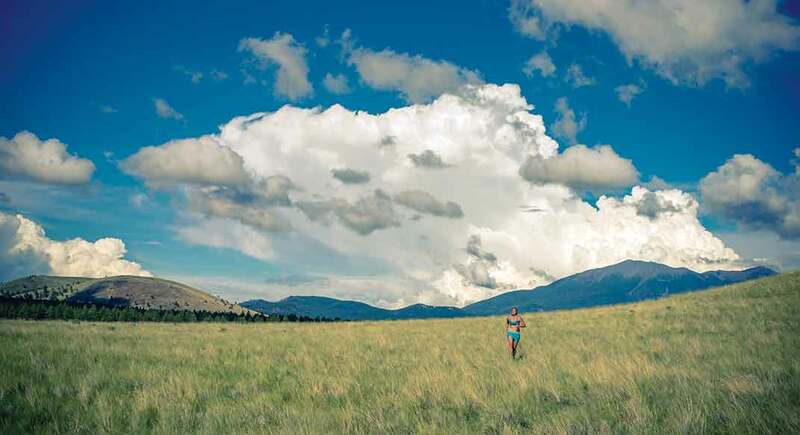 We know you want the option to trail run and race your brains out no matter the month. 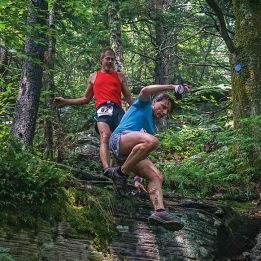 We’ve got you covered because, this year, our annual top-trail-“towns” feature highlights eight places—towns, counties or full-on geographic regions—that make great trail-running and racing destinations all 12 months of the year. 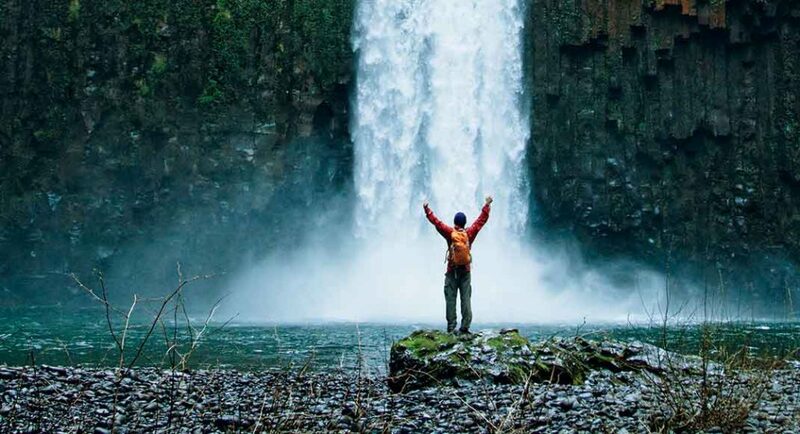 If you’re into running past waterfalls, Oregon’s Willamette Valley is the place. Pictured: Abiqua Falls. Photo by Justin Baile. Willamette Valley was created when colossal floods inundated the region during the last glacial period, creating a vast lake more than 300-feet deep. As the floodwater slowly drained to the Pacific, it left the Willamette River, which runs the length of the north-south valley, in its wake. In the shadows of the towering Cascade Range to the east, and the Oregon Coast Range to the west, the valley houses roughly 2.9 million of Oregon’s four million residents and welcomes many more visitors each year to its collection of wineries and waterfalls. But beyond wine tastings and cascading waters, the 150-mile expanse stretching from Portland south to Eugene is filled with accessible urban and state parks, and sprawling wilderness. The winter rainy season, from mid-November to mid-March, when the region can receive as much as 10 inches of rain per month, shouldn’t dampen year-round exploration, as temperatures in the valley remain mild, and trails, though sometimes wet, stay open for business. Forest Park / At 5,100 acres, Forest Park is one of the country’s largest urban forest reserves. Nestled in the Tualatin Mountains, just west of downtown Portland, the park includes roughly 70 miles of trails, and runners are greeted with views of the Willamette River after ascending more than 1,000 feet to a ridgeline. The park’s varied terrain includes smooth, rolling singletrack trail as well as steep, muddy, root-filled climbs. Silver Falls State Park / Located about 40 miles south of Portland and 20 miles east-southeast of Salem, in Silverton, this stunning 9,000-acre landscape contains many waterfalls, including its biggest, South Falls, at 177 feet. The park includes over 40 miles of multi-use trails, some of which wind behind waterfalls. Try the seven-ish-mile Trail of Ten Falls loop to see 10 of the park’s cascades in a single run. Bull of the Woods Wilderness / This wilderness area resides just east of Willamette Valley proper. Established in 1984, the 37,000-plus-acre expanse showcases dozens of lakes, creeks and streams, and a 5,558-foot highpoint at the Battle Ax summit. The area also contains over 60 miles of trails. The southern finger of Marin County, containing the town of Mill Valley and the public lands of the Marin Headlands and Mount Tamalpais, gets all the trail-running action. But if you check out a county map, you’ll see that this area represents a tiny part of the open space and trail systems available in the north. The main hotspot is Point Reyes National Seashore. There, you’ll find quiet, curvy roads through grassy greenscapes, restaurants cooking fresh oysters … and hundreds of miles of singletrack all to yourself. Point Reyes National Seashore / The seashore is the main gig for trail running in north Marin County. The area envelops most of the Point Reyes Peninsula, a chunk of land protecting most of mainland Marin County from the ocean with miles of beaches and rising to a north-south ridge some 1,400 feet tall. Almost 150 miles of trails await here, from oceanside doubletrack to singletrack switchbacking through redwood forests—and among poison oak, watch out! Perhaps the most bang for your buck can be had on the 9.5-ish-mile out-and-back on the Tomales Point Trail, which travels to the peninsula’s northern tip. Golden Gate National Recreation Area / This recreation area extends from southern Marin County northward. Its northern extension contains the rightfully famous 11-mile Bolinas Ridge Trail. 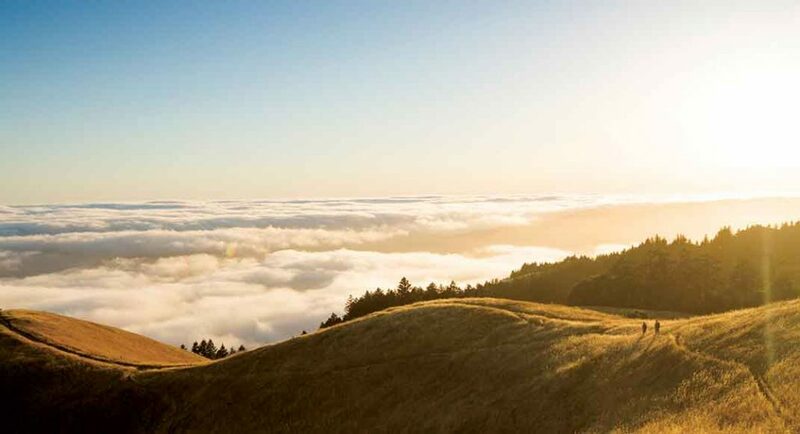 Run this point-to-point or create an eight-mile loop out of it and the Randall, McCurdy and Olema Valley trails, which involves a steep ascent onto and off of Bolinas Ridge, but gets you onto arguably the ridge’s best miles. Bolinas Ridge tops out at over 1,600 feet and will offer you big views from its grassy top in good weather. In the spring, the ridge is also famous for its wildflowers. Tomales Bay State Park / This state park sits in the eastern shadow of the Point Reyes Peninsula, at sea level on Tomales Bay and under the peninsula’s protective ridge. The park is mostly used for its quiet and protected beach access, but the trails leading to the beaches offer gorgeous forest running. Start where the park road ends, and run all the trails to all the beaches, racking up about 10 miles of running total. Pick a weekday and there’s a decent chance you won’t see anyone else the whole time. Samuel P. Taylor State Park / This small state park is named after a 19th-century entrepreneur of the same name who previously owned the land. Make the six-mile loop with about 1,500 feet of climb to the park’s high point, Barnabe Peak, via the Barnabe Fire Road, a wide, doubletrack dirt road, and the paved Cross Marin Trail. The views onto the Point Reyes Peninsula from high on the mountain are superb as is the forest that you’ll climb and descend through. Coconino County is a land of plateaus, mesas, canyons and peaks—and very little in between. 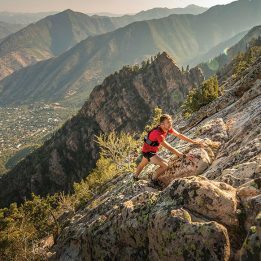 Around these parts, you’re either running on flat, runnable dirt trails, or straight up or down steep and often-rocky mountain terrain. Variety abounds. 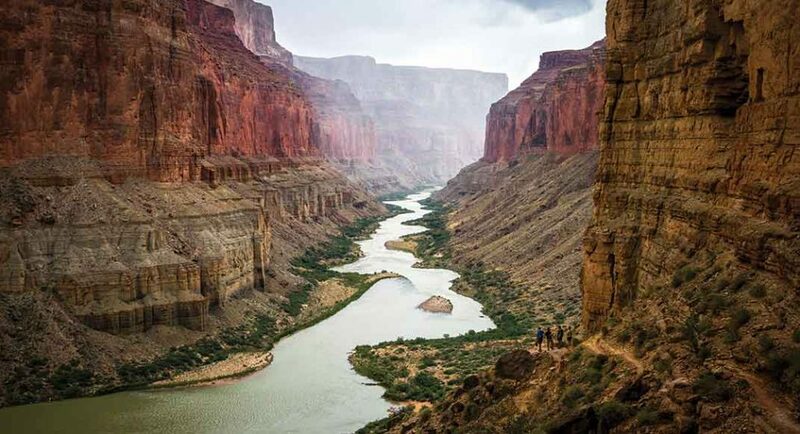 The Grand Canyon alone—a fraction of Coconino County—encompasses five ecosystems, the same number found between Canada and Mexico. Trail systems navigate high desert through aspens and roll along treacherous ridges above treeline; they switchback into canyons and meander next to creek beds. Elevations in Coconino County dip down to 2,480 feet, at the base of the Grand Canyon, and soar to 12,633 feet, at the summit of Humphreys Peak. 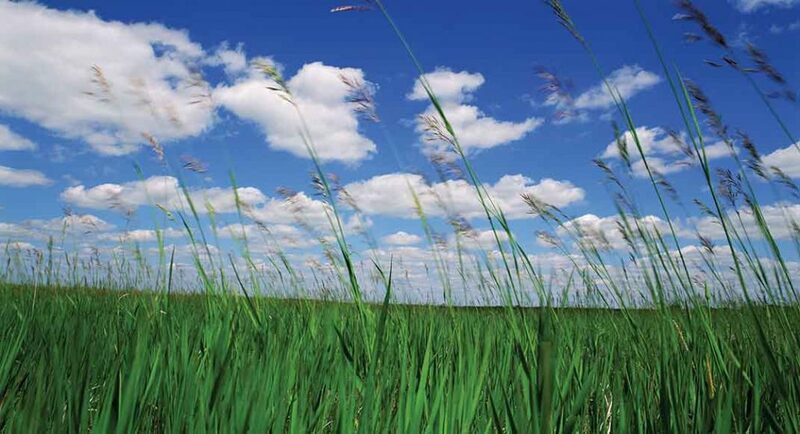 And due to the varied landscape, a temperate running environment offers year-round running. Grand Canyon National Park / Grand Canyon National Park’s south entrance is a scenic hour-and-a-half drive from downtown Flagstaff. From the rim, it’s straight down into the belly of the canyon via Bright Angel or South Kaibab trails. Proceed with caution as you descend and temperatures rise—the only way out is to climb back up. Mount Humphreys / Arizona’s highest point and part of the San Francisco Peaks mountain range, Mount Humphreys tops out at 12,633 feet. The five-mile Humphreys Trail ascends more than 3,000 feet from the base of Snowbowl Ski Resort to the summit. The steep, rooty and rocky trail winds through pines and aspens, then from Agassiz Saddle at 11,800 feet continues another mile along the ridge to the summit. Flagstaff Urban Trails / For easy runs around the Flagstaff area with five-star views of Flagstaff’s San Francisco Peaks, hop on the doubletrack, crushed-gravel trails in the Flagstaff Urban Trails System (FUTS), which connects to myriad and more challenging trail systems. Northern Sedona / A breathtaking 45-minute drive south of Flagstaff, Sedona is located at the southern border of Coconino County, and is ripe with trails in every direction. The 18-mile Three Passes Loop is a locals’ choice. Climbing a total of 3,800 feet, the loop offers sweeping views of red-rock and ochre-colored plateaus and trailside desert cacti. Yeah, you know Moab, Utah, known to many as a winter respite for snow-less running. Indeed, the surrounding so-called Canyon Country of southeast Utah is a massive tract of public lands featuring intricate canyon systems. From the depths of Canyonlands National Park’s four districts, to the high-altitude La Sal Mountains, to the spanking-new Bears Ears National Monument (see “Running Bears Ears,” page 44), multiple lifetimes of trail-running exploration await you here. Canyonlands National Park / With 337,000-plus acres divided into four districts, there’s plenty to explore. Start in the park’s most accessible Island in the Sky District on the 11-ish-mile Murphy Loop, a lollipop that drops off the ‘island in the sky’ and climbs back up on it again. 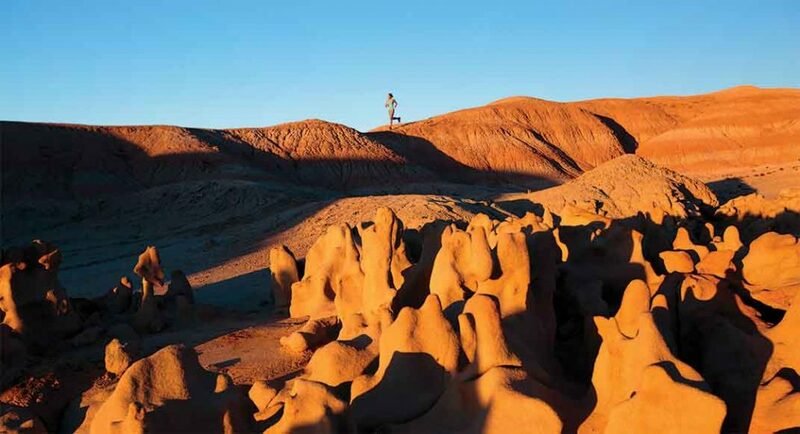 Move up to advanced-level backcountry trail running in the park’s more remote Needles District. Salt Creek, Horse and Lavender canyons are remote and contain hidden archaeological wonders if you’re willing to slow things down and search hard. La Sal Mountains / Most peoples’ Canyon Country photos will have the snowcapped La Sal Mountains in the background, but few people venture into the vertiginous range itself. 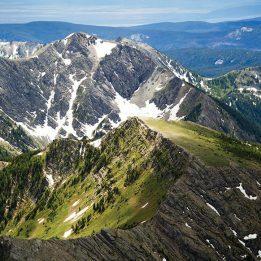 Go big or go home by summiting its tallest peak, Mount Peale (12,726 feet), a six-mile roundtrip outing with 2,500 feet of gain from La Sal Pass. The Whole Enchilada is a 34-mile route that tops out at over 11,000 feet in the La Sals and ends in Moab, offering a couple of hours of alpine bliss, a breeze through the pinyons and junipers in the middle elevations and ledge-y red rocks in the low country. Bears Ears National Monument / Established in late 2016 and protecting 1.3-plus-million acres all within Utah’s San Juan County, this new national monument is named after an eponymous rock formation resembling a set of bears ears. Cedar Mesa may be the most accessible way to experience the Native American history it protects; drop down into any number of canyons, such as Bullet Canyon, Grand Gulch or the Fish and Owl Canyons loop, and explore. Most archeological ruins aren’t noted on maps, so finding them requires you to engage your spidey senses. Cape Girardeau, a running hub for the quad-state region including Missouri, Illinois, Arkansas and Kentucky, is located along the Mississippi River, about halfway between St. Louis and Memphis, and is surrounded by state forests and parks, national recreation areas and national wildlife refuges—all within an hour’s drive. The climbs around here are short, but steep and punishing, often covering 200 or 300 rocky and root-y vertical feet within a mile, and made even more difficult with the area’s humid air and thick vegetation. The fall and winter seasons—when temperatures are mild and dense forests thin—are an especially opportune time to visit, but the bluffs and their views are worth exploring all year. Klaus Park / Just four miles north of downtown Cape Girardeau, Klaus Park offers conveniently accessible dirt paths and root-infested switchbacks. Try the park’s 3.2-mile, multi-use outer loop, which averages a mellow 90 feet of ascent per mile. The trails here are popular on summer nights and weekends. Hawn State Park / Nestled in the hills outside of Ste. Genevieve, about an hour’s drive north of Cape Girardeau, the park houses about 15 miles of trails with “plenty of elevation and creek crossings, combined with moderate-to-technical terrain,” says Kelpe. The rugged, 10-mile Whispering Pines Trail loops through pines and moss and across creeks. Trail of Tears State Park / Hugging the mighty Mississippi River, the park memorializes the thousands of Cherokee Native Americans who perished during their forced removal by the American government from their homelands in the winter of 1838 to 1839. The park’s four trails total 15 miles. Burly climbs lead to the top of bluffs, where you can take in uninterrupted views of the river and southern Illinois. Located just a 15-minute drive north of Cape Girardeau. 6,131,977 Number of people in the Washington, D.C. metro area, the sixth-largest metro area in the U.S. While known as hub of the American political sphere for some 225-plus years, Washington, D.C. is lesser known for its trail running. But courtesy of a long history of local, state and federal land managers preserving green spaces, there are plenty of places for trail runners to play. The area’s parks tend to follow watercourses, and around D.C. that means the mighty Potomac River and its tributaries. In this mosaic of developed and wild places, you can run past U.S. history while dodging rocks and roots. Rock Creek Park / A go-to park for hundreds of local runners daily, the trails meander along the creek toward the Potomac River. Go all in and make a nine-plus-mile loop that includes the Valley and Western Ridge trails, which are mostly dirt. Take note, the park has a lot of social trails not found on maps and you might briefly meander off course. Don’t worry, you’re in the middle of a city so you won’t be ‘lost’ for long! 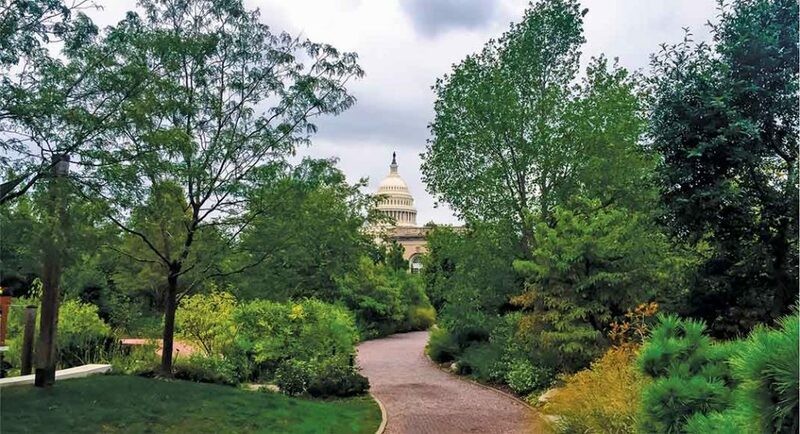 “Many parks close in the evenings, so it’s best to check before you make the trip,” advises Rick Amernick, President of the local DC Capital Striders Running Group. Potomac Heritage Trail / The nine-mile trail lies on the Potomac’s west side, and offers frequent access points via parking lots and side feeder trails. Remarkably technical at its outset from downtown D.C., you will run among boulders and rock outcrops, in and out of side drainages and up and down bluffs. Go in the early morning for solo time. Bull Run-Occoquan Trail / This 19.6-mile trail traces Bull Run and the Occoquan River tributaries to the Potomac River, in Fairfax County, Virginia. Designated in 2006 as a National Recreation Trail, it ranges from perfectly smooth singletrack in places to technical in others with roots, rocks and brief steep climbs and descents. The low country is a region along the coast of southeast South Carolina that includes many towns, including Charleston. This area offers something that mountainous regions usually can’t: guaranteed year-round running. You won’t find low-country trails closed due to snow. Instead, you’ll find a refreshing ocean breeze, accessible, sea-level running trails, warm southern hospitality and scenic waterways cutting through historic, centuries-old, port towns, marked by cobblestone streets, antebellum houses and new-age restaurants. When it comes to trail running, the Palmetto Trail, which passes through the Francis Marion and Sumter national forests north of Charleston, is the gem of the region. But whether you’re looking to run a few easy trail miles in an urban setting, catch a coastal breeze on an ocean-side trail or escape into the woods for a lengthy adventure, the low country of South Carolina has you covered in any season. Laurel Hill County Park / Located about 15 miles northeast of Charleston in Mount Pleasant, the 745-acre park contains more than 10 miles of mellow trails that wind through open meadows, past oaks and by a small pond. These shaded dirt paths are an urban favorite for runners trying to escape the summer’s heat. North Charleston Wannamaker County Park / Roughly 19 miles north of Charleston and next to Charleston Southern University, this park has more than 15 miles of trails through woodlands and wetlands. The northeast section of the Wannamaker Trail features technical and challenging terrain. The Palmetto Trail / The 350-mile trail (soon to be 500 miles) was established in 1994. Located about 30 miles northeast of Charleston, the mountain-to-sea trail’s coastal terminus is at Awendaw Passage, an easy seven-ish-mile stretch of the trail along the coast. Much longer adventures await, as the trail provides access to the Blue Ridge Mountains, on the western side of the state. Texas outdoor enthusiasts lovingly say that everything in their state stings, scratches or bites. Texas is a rough-and-tumble state and the Hill Country region, which refers to the hilly uplands in the central part of the state that includes the major cities of San Antonio and Austin, is not an exception. 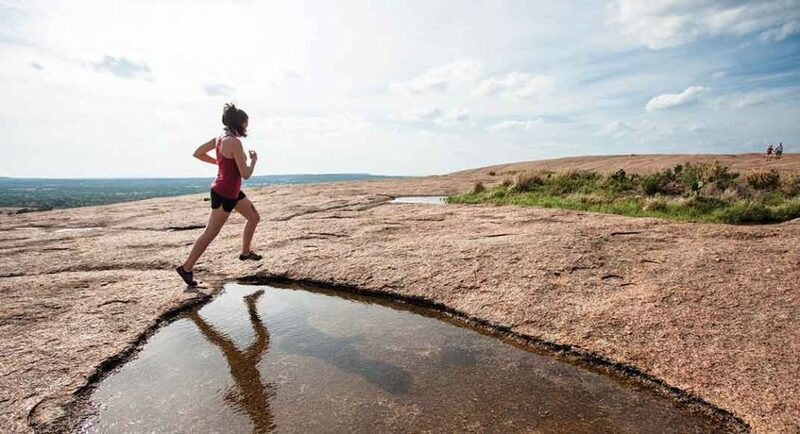 Abundant trail-running opportunities exist throughout the Hill Country, mostly on state-park lands and some private land open for public use, but they generally aren’t for the faint of heart. Related: 28 People Started the Hottest 100-Miler in Texas. One Finished. Colorado Bend State Park / Hugging the Colorado River, northwest of Austin, is this 5,300-plus-acre state park and its 35 miles of trails. Don’t miss the greenscape of the Gorman Falls Trail, and be ready for a big dose of rocks and spiny plants along the way. Pedernales Falls State Park / Straddling the Pedernales River, this gorgeous park offers meandering, rocky singletrack with decent amounts of shade. You can run an ultramarathon distance on trails here without repeating any terrain—don’t miss a recovery soak in the river afterward. Hill Country State Natural Area / Located southwest of Bandera, this 5,300-plus-acre park has a primitive feel and plenty of Hill-Country-style rugged and rocky trails on which to get lost. Highlights are the Vista Ridge and Ice Cream trails. Eric Senseman is a freelance writer with publications at numerous websites and magazines. He calls the American West home and explores its many peaks, canyons and valleys for business and pleasure. Meghan M. Hicks is iRunFar.com’s Senior Editor and a Contributing Editor for Trail Runner. She lives in Utah’s Canyon Country and loves using trail running as a means to explore the USA.